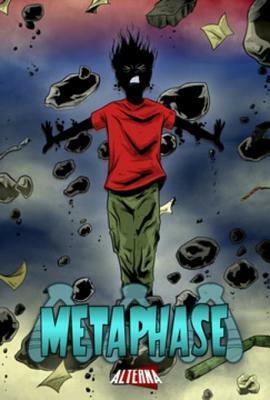 Metaphase is an all-ages graphic novel written by Chip Reece with artwork by Kelly Williams. 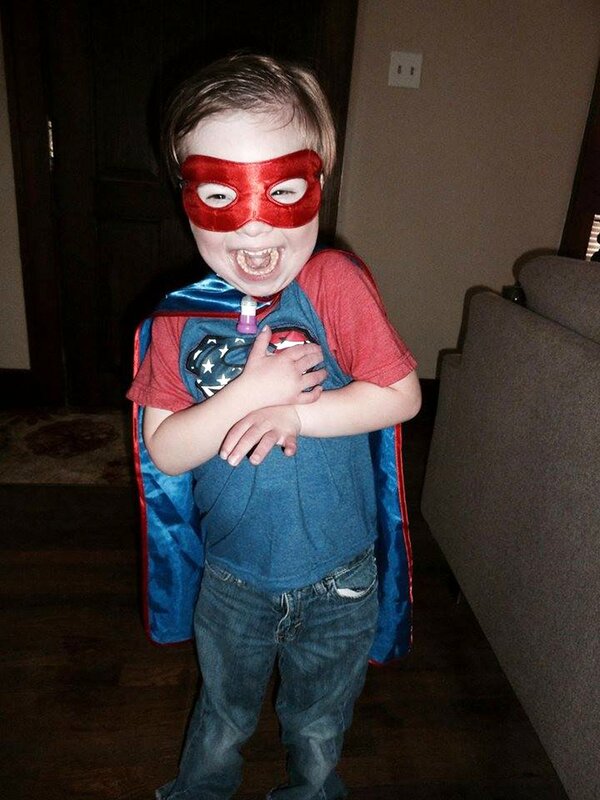 The story is inspired by the author's real-life superhero son, who has Down syndrome. Lash is one of the greatest superheroes of all time, but his life is forever changed when his son, Ollie, is born with all the physical vulnerabilities that come along with having heart defects and Down syndrome. As Ollie gets older he becomes tired of his dad's over-protection and unwillingness to include him in his superhero adventures. Ollie has lived his life listening to the world tell him he will be limited in what he can do and with the added frustration of being compared to a dad with unlimited abilities. Fueled by his desire to be "super", Ollie turns to Meta-Makers - a company that claims it can give anyone superpowers through chromosome tampering. Unfortunately, Ollie's decision may be disastrous for the greatest hero of all time... his dad! Comic book writer Chip Reece's son, Ollie, has Down syndrome. As an avid comic book lover Chip wanted his son to have a superhero, he could identify with. There were very few superheroes with disabilities and none with Down syndrome. So he did what all writers do when they can't find what they want...they write it. Metaphase is the origin story of Ollie, a 16-year-old boy with Down syndrome. His father is the famous superhero, Sentinel. 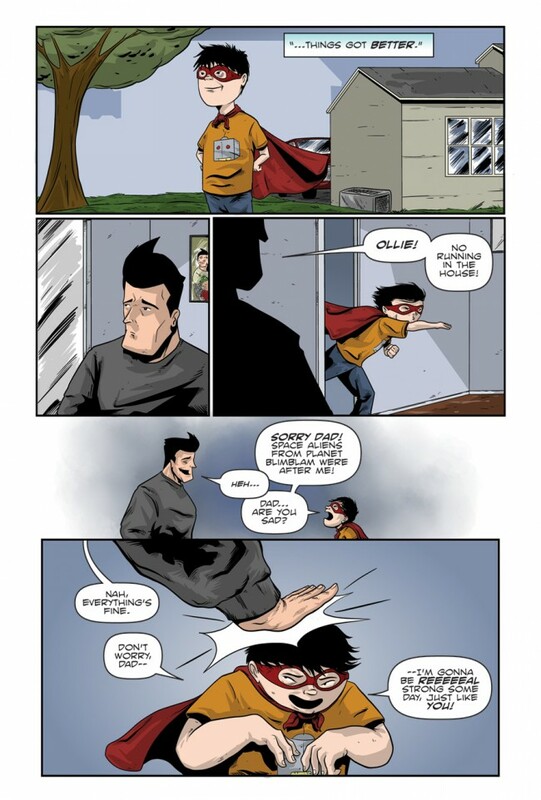 The first few pages of the story explain the complications in Ollie's first 5 years of life and why his dad doesn't want him to become a superhero. But as Ollie grows up, he has other ideas. Metaphase follows the basic superhero story formula. The characters are drawn with exaggerated facial expressions which work well to convey the emotions and tone of the story in the many dialog-free panels. The panels with text tended to be a little dialog heavy. The art is relatively simple line drawings with harsh shading, and in most panels, minimal or no backgrounds. It all works together to convey an easy-to-understand story with a few surprises thrown in. This is a great comic for kids with disabilities, but even better for kids who don't. The key to acceptance and understanding the differences in individuals is to introduce kids to those differences through media like TV and books (comics). It can open channels for healthy and productive discussions. In the past, self-published webcomics and small independent comic presses were the only places to find comics willing to address issues of disabilities, gender, sexuality, and race. 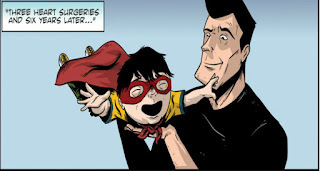 But more mainstream comic producers like Alterna, are entering the game with winners like Metaphase. 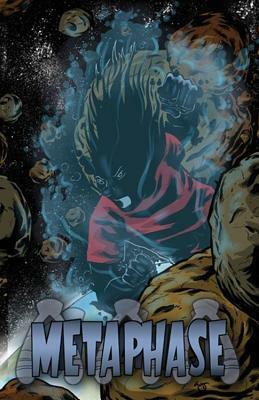 As a fan of graphic novels (kid to adult comics), I found Metaphase enjoyable and look forward to the next installment due out next year. 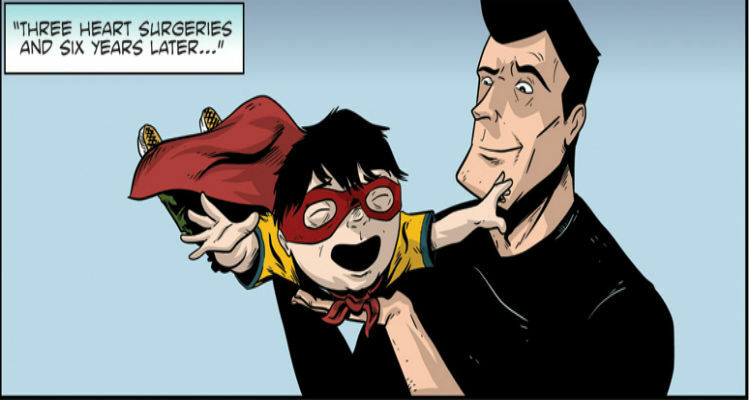 Writer of Metaphase and father of the most amazing kid in the world, SUPER OLLIE! He is a social worker by day and aspiring comic book writer by night (or whenever else his son decides to sleep). Chip has been a force of support for crowdfunded comic books most notably through the website StashMyComics.com, where he is also the editor for the blog and longtime admin. You can keep up with him via. Artist of the book, who has also been involved with a slew of indie comic projects. Recently he successfully funded the graphic novel The Cabinet with writer Christian Sager and is involved in the weekly web comic Ego Tripp with writer Ross Thibodeaux. 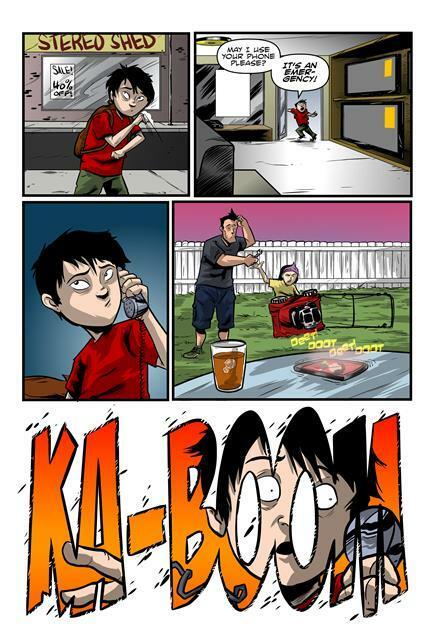 Aside from being the letterer for Metaphase, Peter is also an artist, writer, teacher, hockey player and the owner/operator of the book's publisher, Alterna Comics. His book The Chair is being turned into a live action film! Editor of Metaphase. He is also a director, teacher and writer who is working on the novel The Unlikely Adventure of Race & Cookie McCloud. Click the link to read the Casefiles of Race & Cookie.